Capcom would like you to know that this isn't just a quick port, and that they're doing their best to add Vita-specific features. There's already support for the touchscreen and rear touch panel, letting you do things like set hot buttons for the front surface, or flick the back screen to switch characters. We saw a demonstration that lets players fully customize characters using the touch screen to scroll through colors, and shaking the Vita randomizes parameters. Capcom says that they're not done with the game yet, and are open to adding more features that will use the touch panels and cameras. Capcom is already looking at using the Vita's digital compass, and Near functionality, and may try something with augmented reality in the future. Stay tuned. 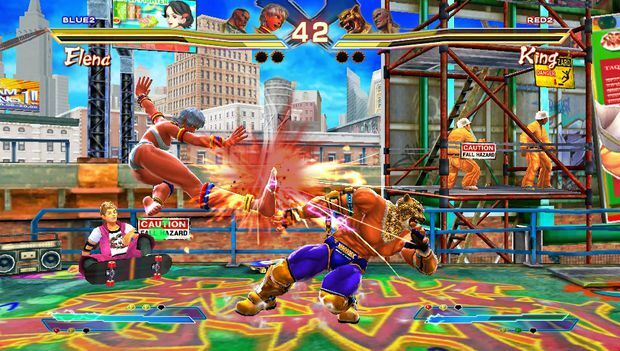 The big news with the Vita version of Street Figher x Tekken is that 12 new characters have been added to the line-up, and that connecting this Vita verson to the PS3 will unlock the new characters in the console version. These unlocked characters can even be used in PS3-to-PS3 battles, making the Vita version of the game work as a sort of expansion key. The 12 added characters are as follows: Blanka, Cody, Dudley, Elena, Guy, and Sakura from the Street Fighter side, and Alisa, Bosconovitch, Bryan Fury, Christie Monteiro, Jack, Lars Alexandersson and Lei Wulong from the Tekken side. Vita-to-PS3 connectivity goes beyond characters, as game saves and customized data can be transferred via a data link. 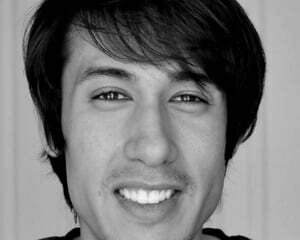 All DLC purchased on the PS3 can be used on the Vita version, and vice versa. Worldwide cross-platform play is supported over two Vitas, or a Vita and a PS3, with full support over 3G or Wifi connections. We saw a real-time demonstration of local play between a Vita and PS3, with the action perfectly matched between the two systems. The systems never fell out of synchronization, and the action was equally smooth on both platforms. If the same tight synchronization is available over online battles, gamers will be impressed. Much like UMvC3, the Street Fighter x Tekken portable port is very impressive, being almost a perfect match to its console counterpart. All of the action, animation and framerate are there, with a side-by-side PS3 and Vita demonstration proving that. I was also able to play a few Vita vs.Vita matches with other attending press members, trying out new characters like Blanka, Sakura, Elena and Dudley. Battles went off without a hitch during my sessions, with Vita game play holding up nicely to the console versions. 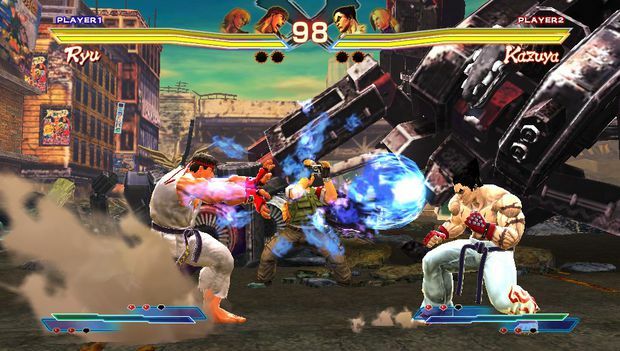 Street Fighter x Tekken Vita will launch with the upcoming improvements for the console game already installed. 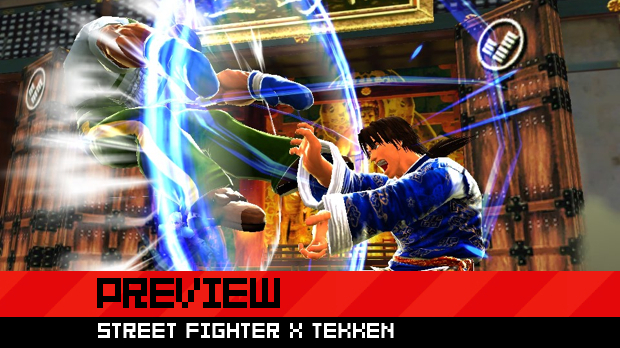 In the coming months the console version will see improved online experiences, tweaks to the infinite combo issues, and continued support for tournament play organization. Capcom has also acknowledged the online sound issues and are working on a patch to fix these. Expect to see a patch in early April. 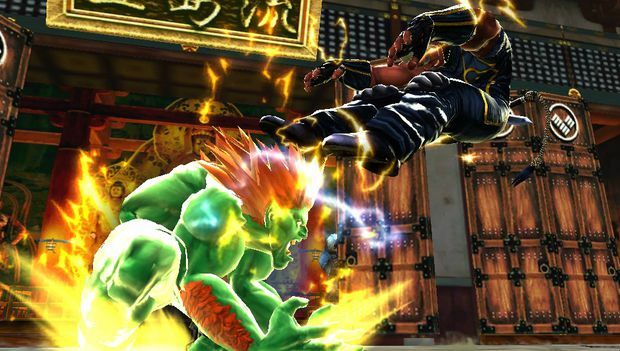 Capcom says to expect more news on new modes, features and content to be revealed leading up to the fall 2012 release date of Street Fighter x Tekken.